Repairing a broken Datsun 240Z choke cable is a quick-and-easy task. You only need access to the choke lever, underneath the center console, and some 0.055″ music wire. One side of my choke cable broke (Fig 1). 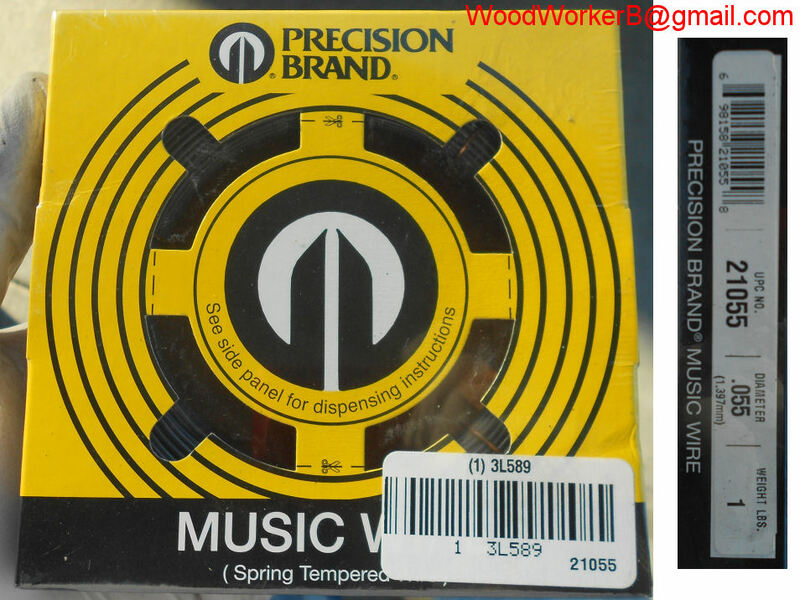 I took the advice of theramz on the ZDriver.com blog and got some 0.055″ piano wire. 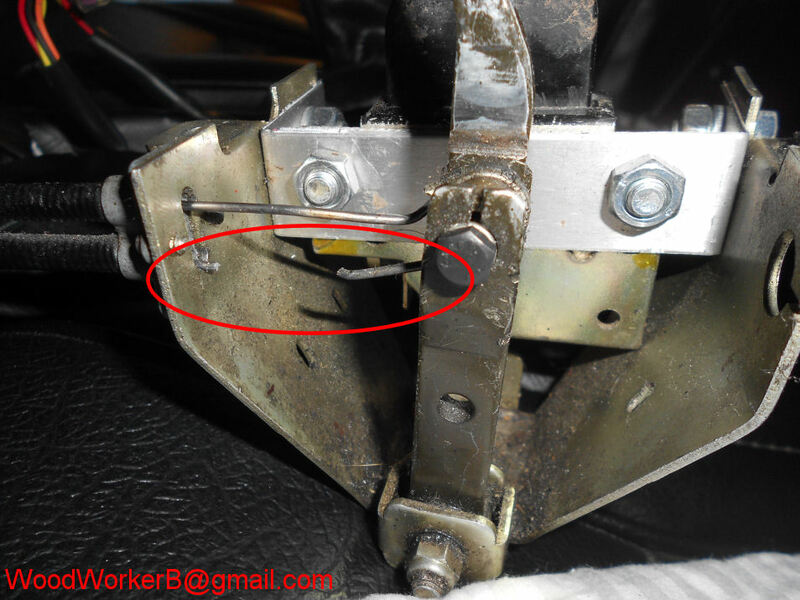 You will need to remove the center console to get clear access to this lever assembly. Take your time. This old plastic can be brittle and a break would be bad news. On my Z, this assembly is bolted to the underside of the console. Not sure about other/later Zs. I purchased the wire from Granger. About 12 feet of wire is needed to replace both internal choke wires. Before attempting to thread the piano wire through the outer cable jacket, gently and carefully work the natural ‘curl’ out of the piano wire – it comes out of the box wound pretty tightly. Try to make it reasonably straight. It took me about 15 minutes to gently relax the curl out of the wire. Take your time to remove the curl. Go too fast and you’ll just kink it. At roughly the middle of the wire, you need to bend a “U turn”. 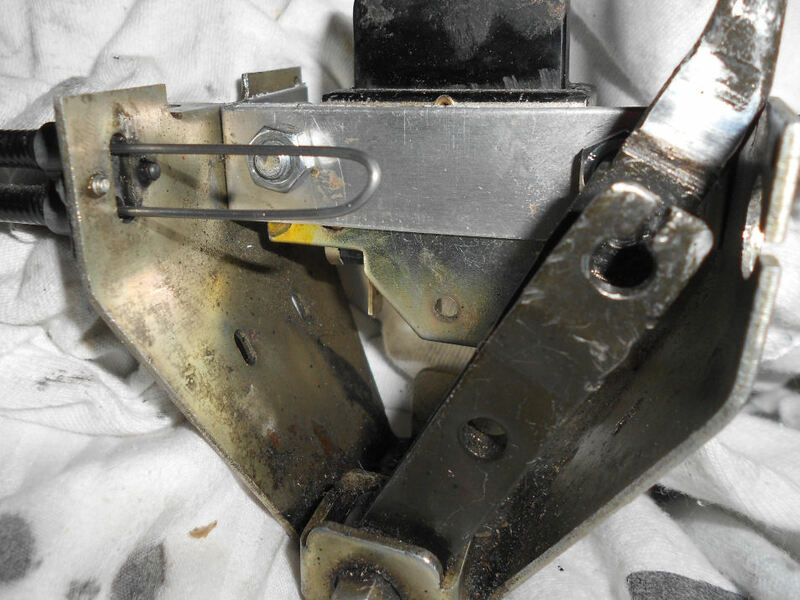 I clamped a 1/4-20 bolt into my vise and used it as a form to bend the wire back onto itself. As you insert the new wire into the sheath, generously lubricate the wire with grease or lightweight oil (like 3-in-1 or a lubricant with graphite in it). Don’t use WD40. The rest of the installation was as easy as would be expected. The outer jacket of the choke cable, inside the engine compartment, was showing it’s age, with some cracks. I just slid 1/4″ black heat-shrink tubing over the existing cable, used a heat gun to shrink it tight, and it looks as good as new to all but the most observant. Even the natural ‘ridges’ in the surface of the cable are ‘telegraphed’ through the shrink tubing, creating the same ‘ridged’ appearance. Look here for the refurbished Ztherapy carb experience. Over the last few weeks, I was experience a raw gas smell. I have all new hoses (see 240Z Gas Tank Refurbish), but I did find one clamp that was loose. Still had the gas smell after tightening the clamp. I checked all fuel lines, no leaks. Felt under the carbs and float bowls – no leaks. Entirely on accident, checking under the rear carb once again for gas leaks, I touched the choke assembly that sticks out of the bottom of the carb (red box in Fig 4), and ‘snap’ it jumped back into place. 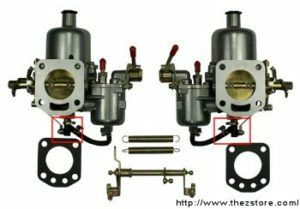 It seems when I pulled out my choke, the choke mechanism on the rear carb would stick in “full choke” mode. Performance wasn’t great (I don’t race), and it was the exhaust that reeked of gas smell. Some cleaning and lube, and all is good now.